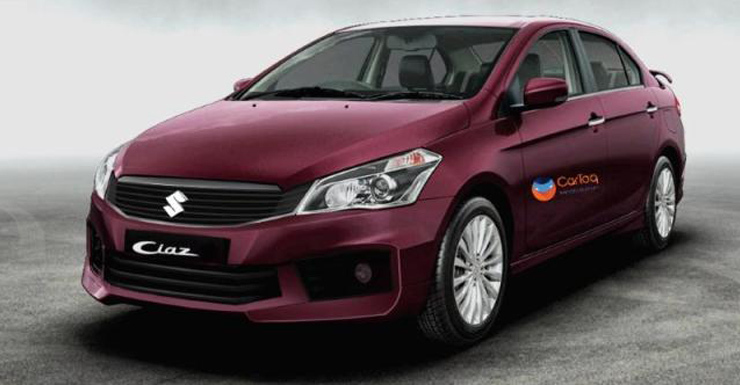 The facelifted Maruti Suzuki Ciaz sedan is just a few months away from launch in India. Maruti Suzuki has been testing the car extensively and new information about the facelifted Ciaz suggests that it will use a larger 1.5 litre K-Series petrol engine, which made its debut in the all-new 2018 Ertiga MPV, which was unveiled earlier this week. The new engine makes about 106 PS of peak power and 140 Nm of peak torque, both figures being higher than the current Ciaz’s 91 Bhp and 130 Nm outputs from the 1.4 litre K-Series petrol engine. The additional power and torque will make the Ciaz more evenly matched with the Honda City, which has 118 PS-145 Nm on offer. The facelifted Ciaz is also likely to get a new, 1.5 litre turbocharged diesel engine developed in-house by Suzuki. The new diesel mill is expected to replace the 1.3 litre Fiat Multijet unit that has been a staple on the Ciaz since launch. We expect the new diesel engine to also offer more power and torque than the 89 Bhp-200 Nm outputs of the 1.3 litre Multijet unit. Gearbox details of the new diesel engine remain unknown for now. The petrol engine is likely to get 5 speed manual and 4 speed torque converter automatic gearboxes. The 5 speed manual will be replaced by a 6 speed unit sometime next year. The facelifted Ciaz will get a slew of changes in terms of design. The front end is expected to look sharper than before with restyled headlamps, bumper and grille. The rear is also likely to see a few changes. On the inside, expect Maruti to throw in a few new features to make the car more appealing. Price-wise, we expect the facelifted Ciaz to continue as a price warrior, with the sharpest pricing in the C-Segment sedan space. Competition for the Ciaz has just increased with Toyota launching the Yaris C-Segment sedan. So, Maruti will have its task cut out with the facelifted model. « 6 enthusiast cars (Rs. 10 lakh+) launching soon: Mahindra XUV Aero, Jeep Compass Trailhawk, new Honda Civic & more!